When you're working to get your name or event out there and in front of customers or prospective clients there is a myriad of options for low cost stickers, key chains, etc. What differentiates your promotional piece from the next? Aluminum is a great solution to give your name a boost, make your give-away item memorable or draw attention to your event with elegance. Here are four options using stock dies which are available for you to customize to suit your needs. Change the color, showcase your name, your brand, your event - make it your own. 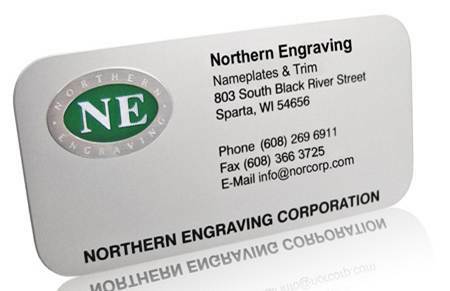 Share your contact information with an aluminum business card that demands attention. - dimensions 1.5" x 3.5" with radius corners. 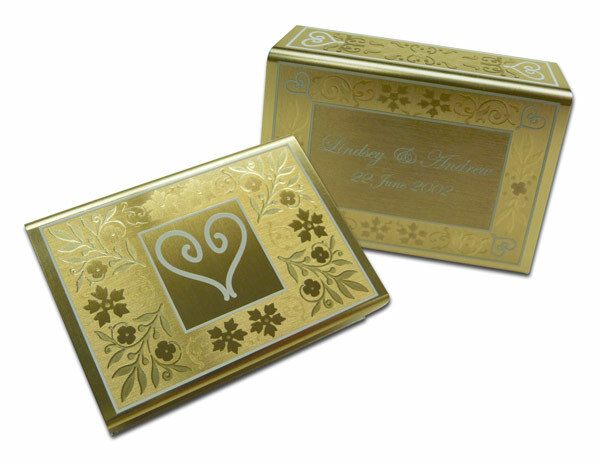 Promote your business or celebration with a unique aluminum matchbox cover. This is a sleeve which slides over standard size matchboxes. 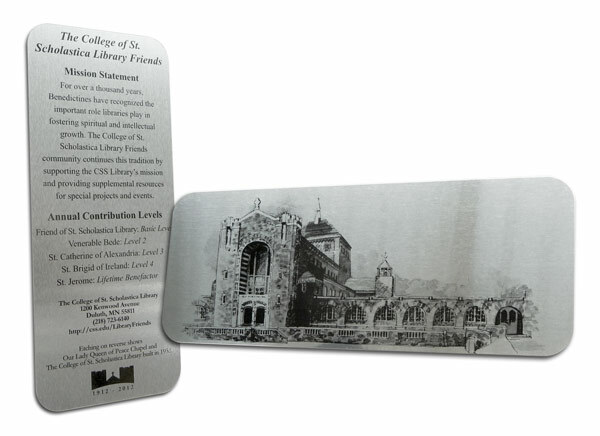 Celebrate a milestone with an aluminum bookmark. - dimensions 2.5" x 6.00" with radius corners. 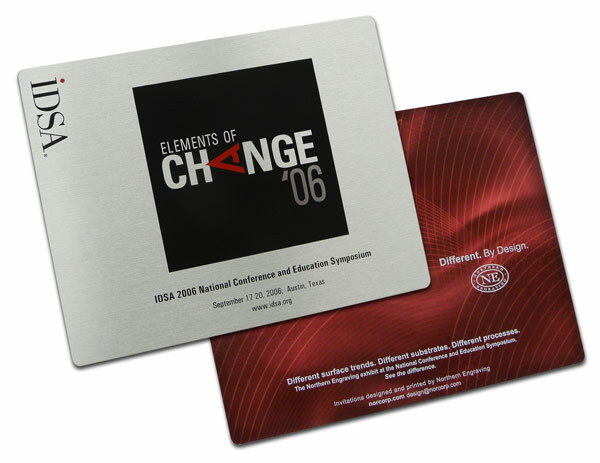 Promote an event with an attractive aluminum invitation. - dimensions 4.75" x 6.00" with radius corners. The possibilities for using aluminum in self promotion are limited only by your imagination! Weddings, grand openings, graduations, share contact information, anniversary tributes. Any of these scenarios are great opportunities for differentiating yourself and making the moment memorable. How will you use aluminum for your promotion? Editor's note: This post was first published in August 2013. It has been updated and refreshed for content and best pratices. Enjoy!